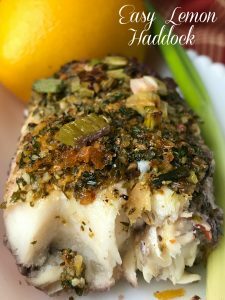 Easy Lemon Haddock is delicious and so very easy to prepare. 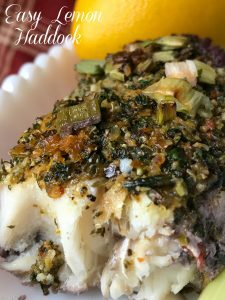 I have to admit that haddock is my favorite type of fish to prepare and relish in at home. I’ve made haddock in just every way imaginable. 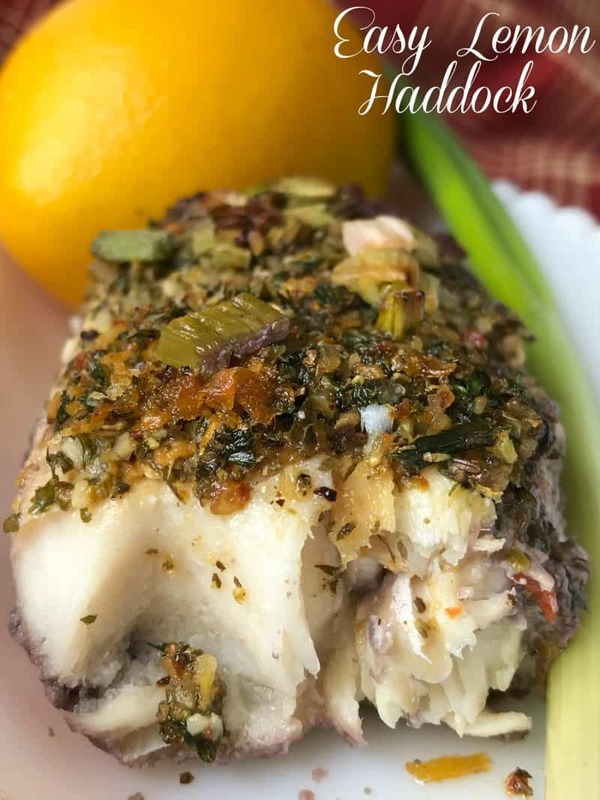 Haddock is very light, low-cal and mild so it’s perfect for people watching their caloric intake. Simple, delicious and easy. Serve Easy Lemon Haddock with a side of slaw and rice pilaf. Haddock [HAD-uhk] A saltwater fish that is closely related to but smaller than cod. 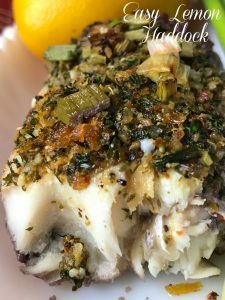 The low-fat haddock has a firm texture and mild flavor. It can weigh anywhere from 2 to 6 pounds and is available fresh either whole or in fillers and steaks, and frozen in fillets and steaks. Haddock is suitable for any style of preparation including baking, poaching, sautéing and grilling. Smoked Haddock is called Finnan Haddie. Pilaf [PEE-lahf; PIH-lahf] This rice or bulghur based dish originated in the Near East and always begins by first browning the rice in butter or oil before cooking it in stock. Pilafs can be variously seasoned and usually contain other ingredients such as chopped vegetables, meats, seafood or poultry. In India they’re highly spiced with curry. Pilaf can be served as a side dish or main dish. 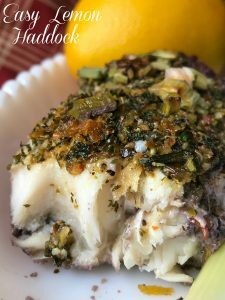 An easy and delicious way to make and serve Haddock. Drizzle oil in the bottom of a 2 quart baking dish. Lay lemon slices in the bottom of baking dish, making two rows. Rinse haddock under running cold water, pat dry. Lay haddock on top of lemon slices in baking dish. Combine sliced green onions, dried parsley, lemon zest, lemon pepper seasoning blend, and garlic powder. Sprinkle over fish. Slowly drizzle melted butter over fish. Bake at 350 degrees for 30 to 45 minutes or until fish flakes easily with a fork. Thanks for the nice recipe. I like lemon a lot and the recipes mentioned by you will help in eating lemon in multiple funny ways.